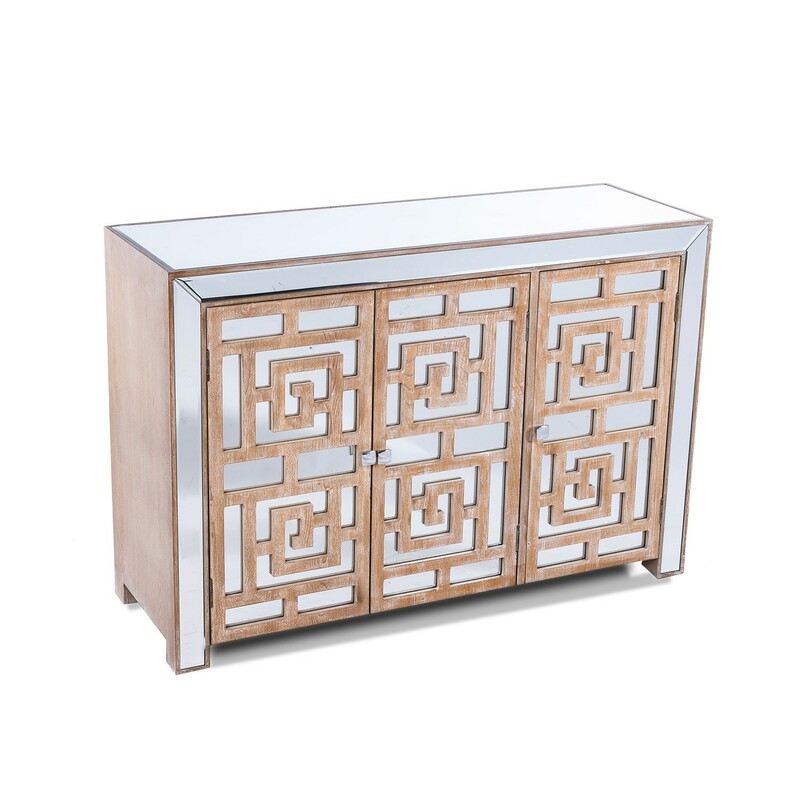 This venetian glass sideboard is perfect to add some style to your interior decor, delivered fully assembled. 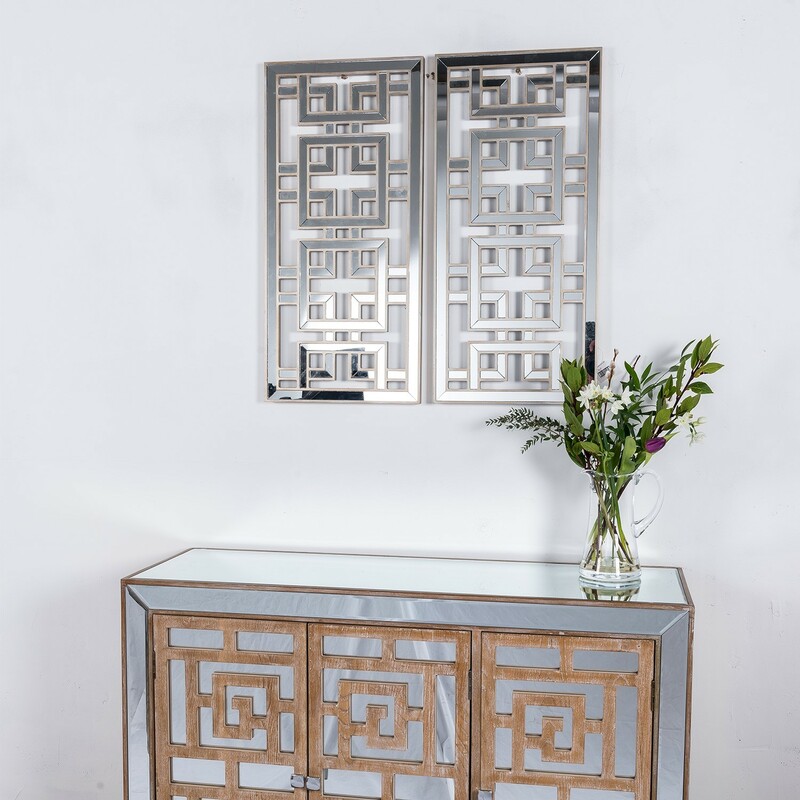 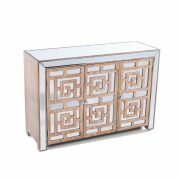 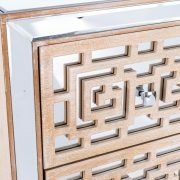 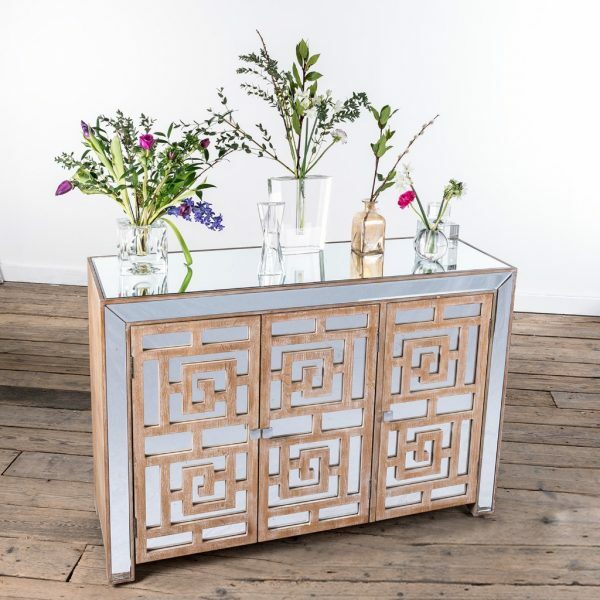 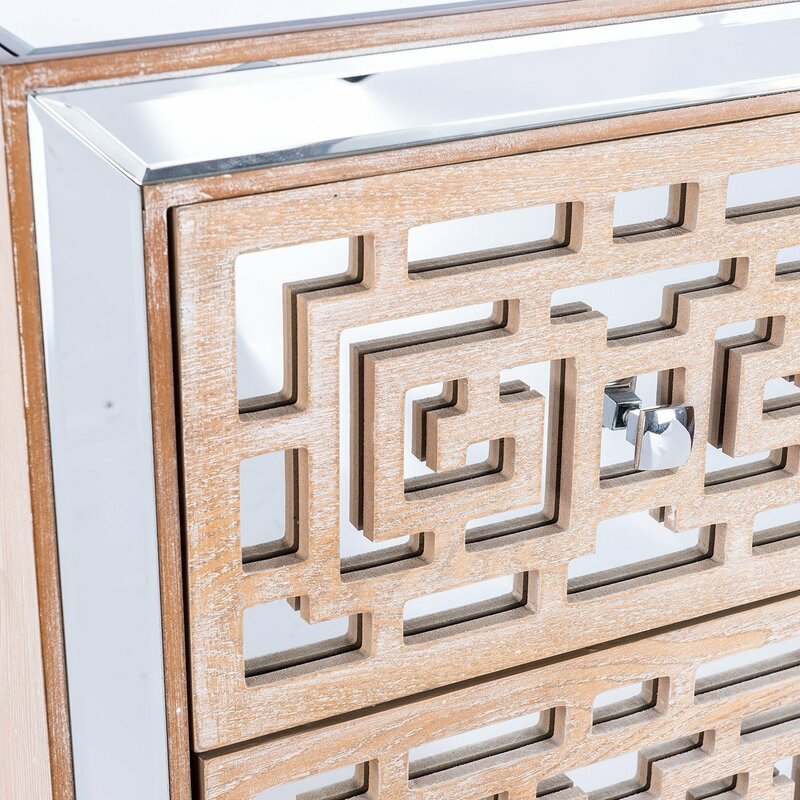 oriental style whitewashed wood geometric design over a mirrored body. 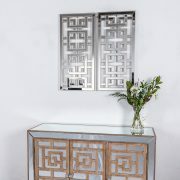 Dimensions: W:119.5 x D:40 x H:81.5cm.